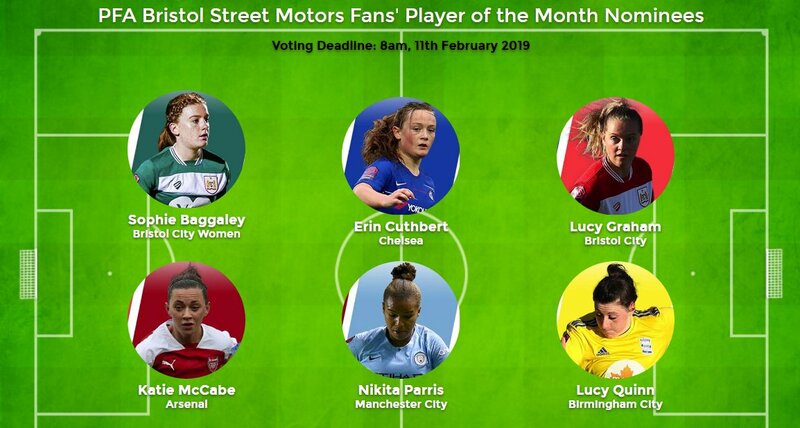 There are six nominees for Women’s PFA Bristol Street Motors Fans’ Player of the Month award for January and voting is open until 8am on Monday 11 February. Nikita Parris – The 24-year-old Manchester City forward scored four goals in three appearances, including a double against Brighton towards the end of the month. 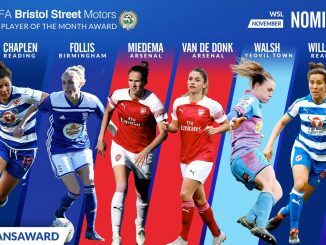 Katie McCabe – The Arsenal star enjoyed a fantastic January, including a long-range effort to round off the 3-0 win over Reading. Erin Cuthbert – The 20-year-old Chelsea midfielder hit four goals in three games, including a match-winning double against Arsenal. 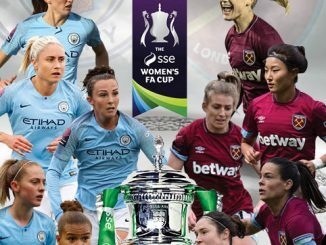 Lucy Graham – The 22 year-old Scottish midfielder notched two goals from her three games and got crucial equaliser against league leaders Manchester City to record a fantastic result for her side. Lucy Quinn – Scored an important goal for Birmingham City on the way to their fine 3-2 result at third-placed Chelsea, with whom they went level on points. 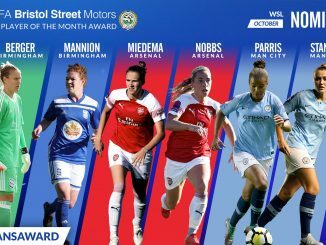 Sophie Baggaley – The Bristol City goalkeeper pulled off some impressive stops against Manchester City, Birmingham City and Yeovil Town to crown what was an excellent month for the England U-23 international.